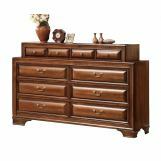 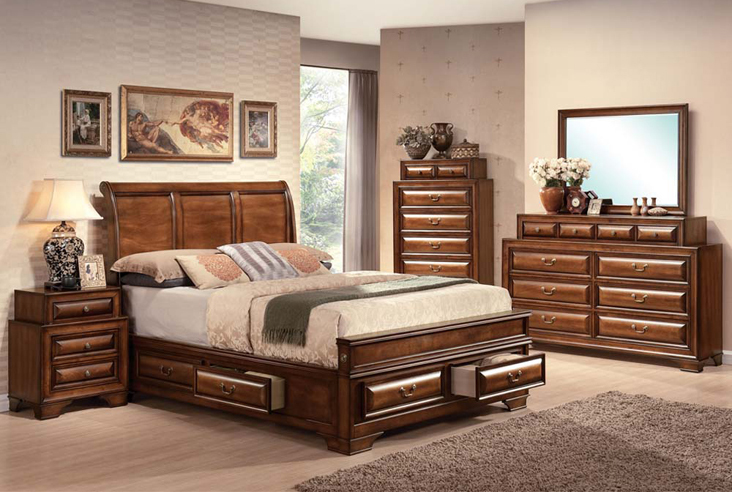 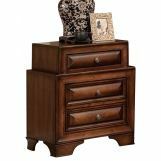 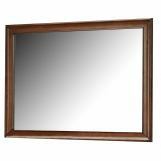 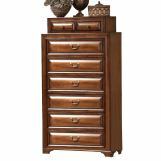 The Konane sleigh bedroom set comes in rich brown cherry with antique style. 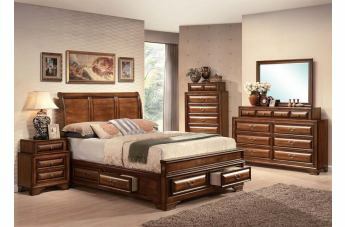 Features wave shape panels. 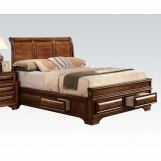 Storage rail and footboard creates extra spaces to your room.